For Shyam Reddy, leadership starts with approaching each problem fearlessly, whether it’s as daunting as a lion or as menial as a mouse. His philosophy centers on the beauty of failure—specifically, trying a solution, witnessing the outcome, and learning from mistakes. In other words, “fail fast and fail forward,” he says. He’s had ample opportunity to apply this philosophy at BlueLinx, where he’s had to take calculated risks to help the company’s leadership team execute on a turnaround strategy. When the fiscal future of the company started to look grim, the board hired Mitch Lewis, the CEO, to correct the company’s course. He put together a new leadership team that included Reddy, whose initial role in 2015 was senior vice president, general counsel, and corporate secretary. He was later promoted to chief administrative officer, general counsel, and corporate secretary after assuming leadership of the human resources department. 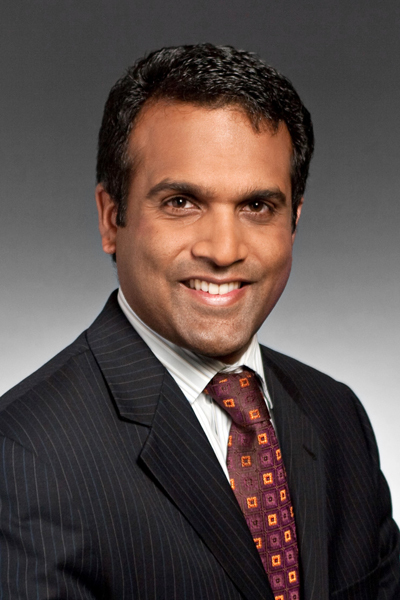 And most recently, Reddy was asked to serve as chief transformation officer, to lead the integration of the $1.4 billion Cedar Creek business purchased by BlueLinx in the spring of 2018 that he helped negotiate as general counsel. The award-winning acquisition of Cedar Creek—a competitor in the industry—increased BlueLinx’s profitability immensely. BlueLinx told the market that the transaction would generate at least $50 million in synergies, and the market reacted favorably and drove the stock price up considerably. At one point, during the turnaround and prior to the acquisition, BlueLinx was trading at $3 on a postsplit basis ($.30 on a presplit basis) and in danger of being delisted from the New York Stock Exchange. Soon after the merger was announced, the price surpassed $30. With the details of the acquisition now settled, Reddy sat down recently to discuss the specifics of BlueLinx’s new and improved structure and environment. What did BlueLinx do to put itself in a position to acquire Cedar Creek? We engaged in some of the most intellectually stimulating, eye-popping negotiations to restructure our debt and deleverage the business. We did that by embarking on a journey to rationalize our stockkeeping units to eliminate unprofitable product lines and monetize our real estate to pay down the CMBS (commercial mortgage-backed securities) debt. We also invested in sales excellence and pricing teams to enhance margin. Ultimately, we deleveraged the balance sheet considerably by increasing EBITDA (earnings before interest, tax, depreciation, and amortization) and reducing debt, which accelerated the comeback of the company. Eventually, we did more than fifteen real estate transactions in eighteen months to pay off $160 million in commercial mortgage–backed securities debt. We also took a lot of working capital out of the business to reduce additional debt. What was your thinking behind the acquisition itself? While some saw the acquisition of another big-name company as a major roll of the dice, I thought it was a no-brainer from a strategic standpoint. It would strengthen BlueLinx’s customer-service proposition by expanding our product offering and geographic footprint—while increasing shareholder value. And it’s not a total gamble because though I’m leading the integration, my choices are informed greatly by my team’s experience-based opinions and contributions. Through open communication, practical delegation, and positive feedback, I and the rest of my team have been able to integrate the two companies much faster than other companies typically do. What adjustments did BlueLinx make to ensure the acquisition of Cedar Creek was successful? We knew there was opportunity for a more financially stable, stronger company operating together, but combining a $1.4 billion business with a $1.8 billion business doesn’t come easy. In the beginning, you have two separate companies, with two separate IT systems, two different HR systems, two different payroll systems, two different cultures, two different brands. Just like you wouldn’t own two homes in one city, if you’re being intentional about it, you wouldn’t own two warehouses—two distribution facilities—in the same market, unless it was absolutely necessary from an operational standpoint. Basically, we had to rationalize these two, interconnected businesses to successfully consolidate them into one. We stood up a dedicated integration management office composed of some of the best executives, associates, and analysts from across the business to ensure a successful integration. We aligned our talent with specific objectives and initiatives that would generate at least $50 million in synergies. We overcommunicated to the entire workforce on a regular basis, created a new organizational structure, and held ourselves accountable to results. Most importantly, we supported our associates and were disciplined about execution. All of this helped keep the organization intact during a disruptive postmerger period. How has BlueLinx’s vision for itself changed? The vision at the beginning of my tenure was, ‘We have to save this company.” When we won the award for Transaction of the Year, it was a bookend to a long journey over the past few years. The award recognized the perseverance, dedication, and resilience of, basically, more than 1,600 associates who never lost faith in the fundamentals of the organization, the leadership team, the mission at hand, and the possibilities of the company. We have come a long way in the last four to five years. As a result of the turnaround and the acquisition, we’re now stronger, leaner, and better positioned for success. We’re able to focus on expansion, growth, more acquisitions, and a host of other activities that deepen our relationship with customers and allow us to play an even stronger role in helping folks live out the American Dream through homeownership. How has your personal vision of good leadership changed since the beginning of your career? I want to empower people to take risks. Regardless of the extent to which they fail, just fail fast and fail forward. Don’t make the same mistake twice; learn from those mistakes, then improve. Likewise, I think it’s important for leaders to own up to mistakes. I’m quick to say I made a mistake, apologize, and own it. When you do that, then others will do the same. It promotes a culture where people are open and transparent. At the same time, because it’s open, you’re encouraging people to take risks and be innovative. You’re creating a culture where everybody strives for excellence and doesn’t tolerate mediocrity. Ultimately, if you can embrace teamwork, integrity, continuous improvement, and innovation, you can lead a company in a way that’s meaningful and personally rewarding. It’s not just management, it’s not just leadership—it’s about the principles and values underlying both. How has your approach to collaboration influenced the way you lead? The more interactions you have with people, the more you realize that there are a lot of people out there who have better ideas than you do. They’re able to leverage their perspectives in ways you never would have considered because you haven’t had the same life experience they’ve had. If you have a diversity of thought in a room and a diversity of experiences in the room, then you and the team are more likely to come up with creative solutions to problems. Typically, I’m very extroverted and generally uncomfortable with silence. But as a leader, I’ve learned over time to listen more, and it has been one of the best improvements I’ve made. I’ve learned so much more. In this job, collaboration has forced me to employ talent in new and exciting ways to see how amazingly capable and brilliant people are when you cultivate their strengths. In order to fail fast and look toward the future, to what extent do you still have to reflect on the past? You have to look to the past, but you cannot let it dictate the future. In this case, we reflected on each company’s past and took the best from both histories to create something new and special. Learn from mistakes and look at trends in history to avoid future mistakes. There are so many kernels of wisdom you can pull from how previous problems have been solved to solve the problem right in front of you. Continuous improvement entails looking behind you only so you can see what you can improve to move forward and succeed. King & Spalding congratulates Shyam on this well-deserved honor. He is an inspirational leader who is respected at the highest levels for his intellect, judgment, vision, and empathy. We have had the privilege of working with Shyam for many years and appreciate the opportunity to support him and the BlueLinx team. Profile is a registered trademark of Guerrero LLC.